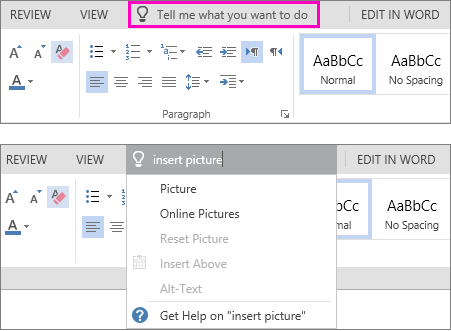 Use the Tell me what you want to do text box to enter search words to find what you want to do, get to features, or perform an action. 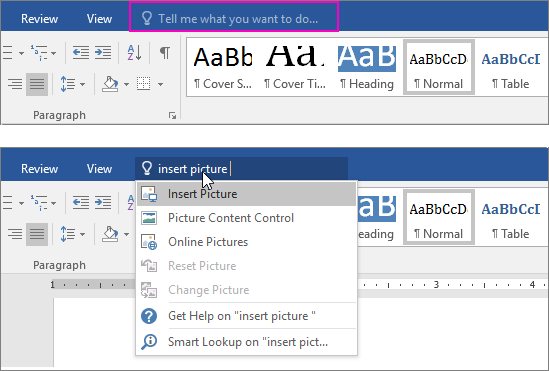 You can also use Tell Me to find help articles, or to use Smart Lookup to research or define the term you entered. 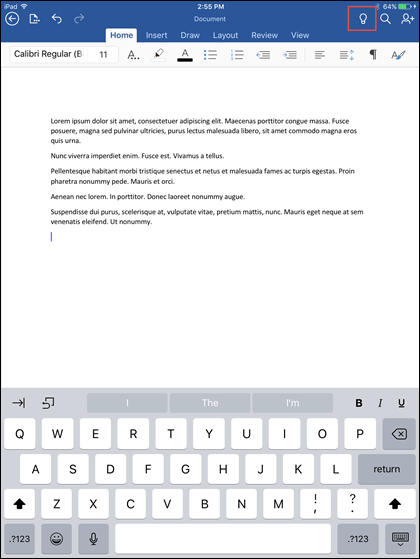 Tell me is a text field where you can enter words and phrases about what you want to do next and quickly get to features you want to use or actions you want to perform. 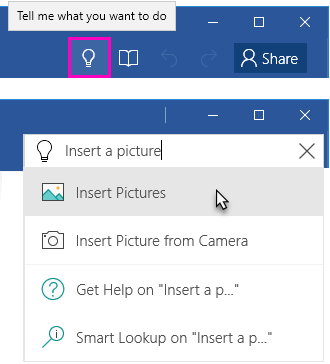 When you're editing a file in Office Online you can access Tell me by tapping the light bulb to the right of the tabs as seen in the image below. Tell me is a tool where you can enter words and phrases about what you want to do next and quickly get to features you want to use or actions you want to perform. On your iPhone you can access Tell me by tapping the light bulb to the right of the Home tab on the palette. On your iPad you'll find the light bulb near the top right corner of the screen, as you can see in the image below. To access Tell me on your Android phone or tablet click the light bulb button as you see in the image. On your phone it will be down on the palette towards the bottom left corner. On your tablet it will be on the ribbon at the top. 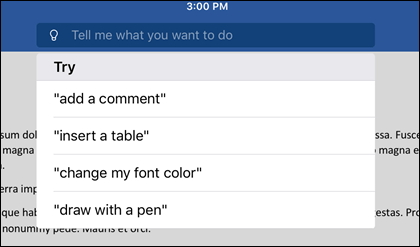 Tell me is a text field where you can enter words and phrases about what you want to do next and quickly get to features you want to use or actions you want to perform. You can also use Tell Me to find help about what you're looking for, or to use Smart Lookup to research or define the term you entered. 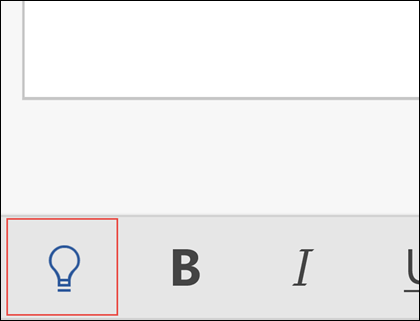 On your PC or tablet, you can access Tell me by tapping the light bulb in the upper-right corner of the window as seen in the image below.